And on the surface it seems fine. 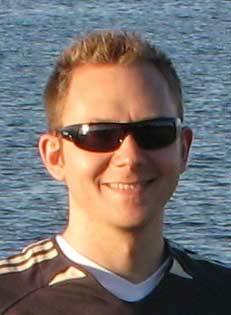 Keep your java source and resources separated and clean. But for some resources it makes sence to keep them "close" to the java class using it - say in the same package. I could do that by duplicating package structure in my resources directory, but that would be repeating myself and breaking the good old DRY principle. But furthermore and much more important I risk to miss the resource files when refactoring my build (renaming packages, moving classes). I have been one of the defenders of mavens conventions, but this time it seems to be missing something. Can anyone tell me why this isn't the default in maven? 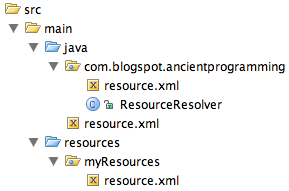 I can't be the only one placing resources along side with my java files. The main reason to separate resources from other sources is that this way it is much faster to copy or filter them out. I agree that speed in build turnaround time is essential - but is it really that time consuming? I must say I haven't been blaming copy and filtering as the root cause of the slow builds I have been puzzling with. I see where Eugene is coming from and I see where you are coming from Jacob. I often wish that someone just forked Maven and created a distribution with another set of assumptions, then we'd just see who's assumptions won out in the free market.